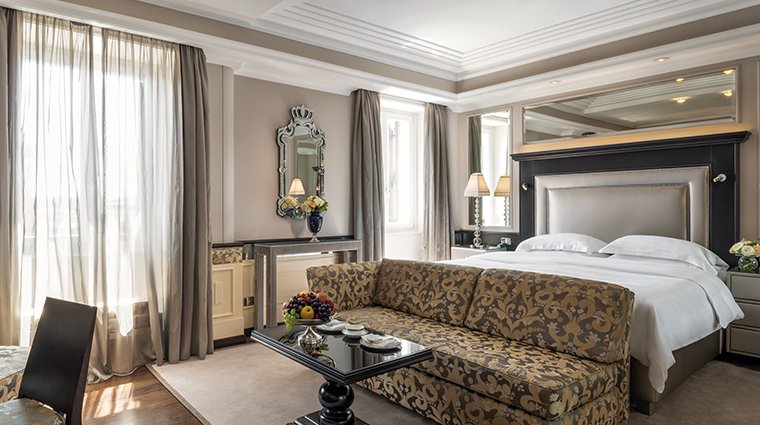 Hassler Roma, owned and managed by Roberto E. Wirth, who’s fifth generation of a famous hotelier family, is an iconic luxury hotel long known for its regal design, personalized service and its friendly, family-owned atmosphere. 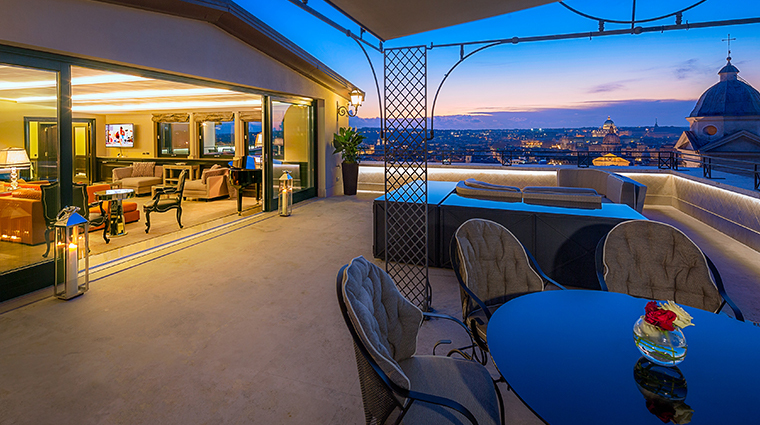 Its location perched atop the Spanish Steps is second to none, right in the historical heart of the Eternal City. 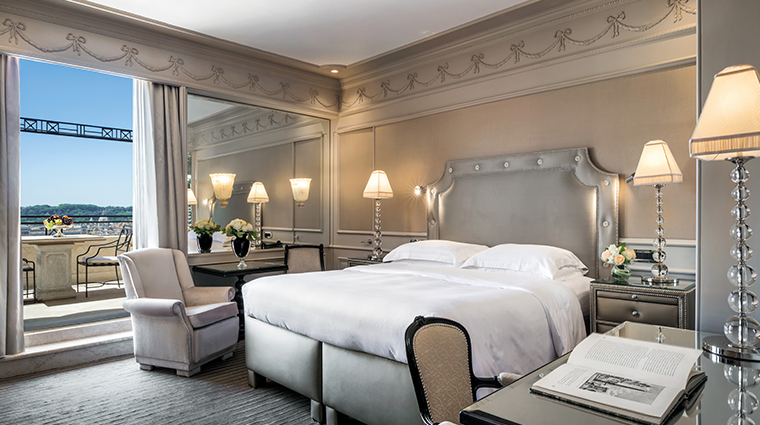 The Hassler’s coterie of returning guests extol the charming doormen, all-knowing concierge and attentive staff. 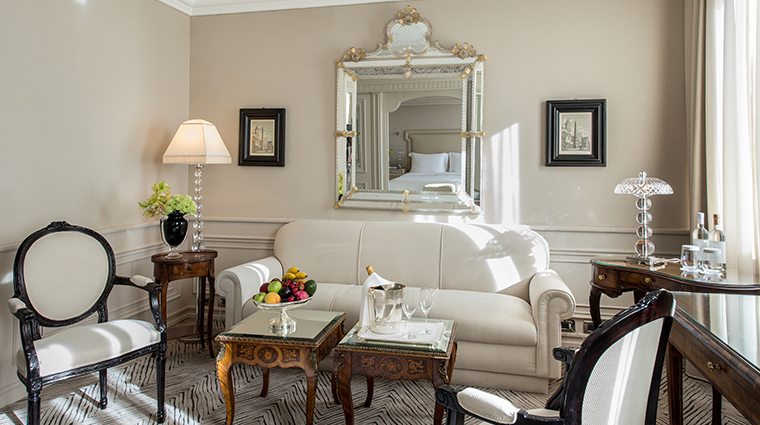 Exclusivity, discretion and personalized service are foremost here, reasons why, since its 1893 inception, VIPs who want to enjoy the glitter of Rome without the glare of paparazzi book the gilded guest rooms. 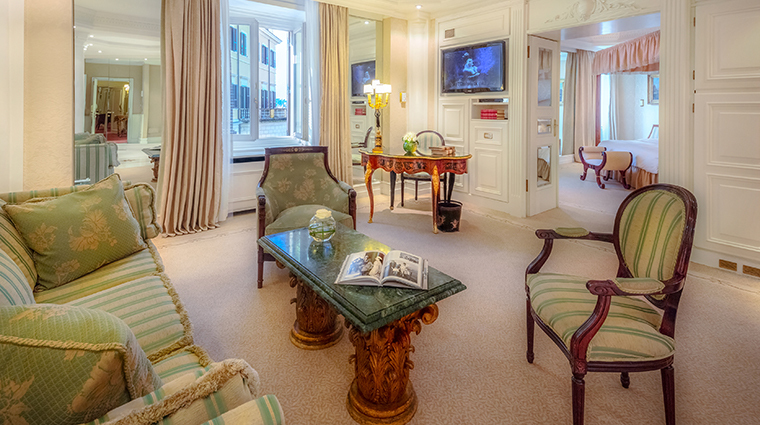 Some notable guests of the hotel include Grace Kelly, John F. Kennedy, Audrey Hepburn, Queen Noor of Jordan, Robert Downey Jr. and Gwyneth Paltrow. 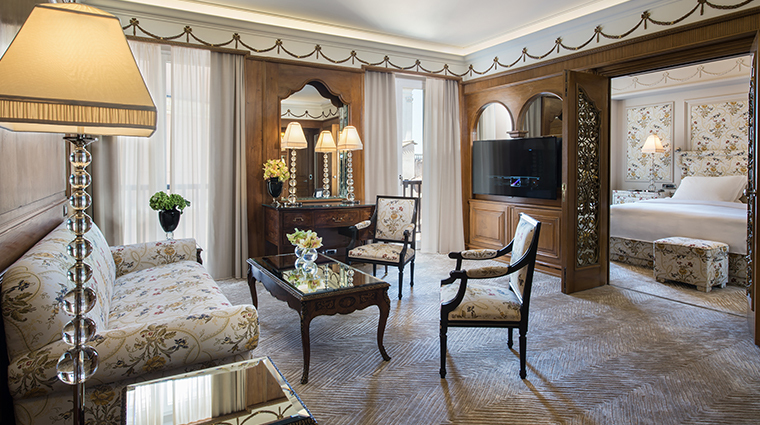 Brimming with Old World charm, The Hassler’s 70 rooms and 21 suites are individually designed and filled with rich tapestries, Venetian lamps, marble, silks, elaborate moldings and frescoes. 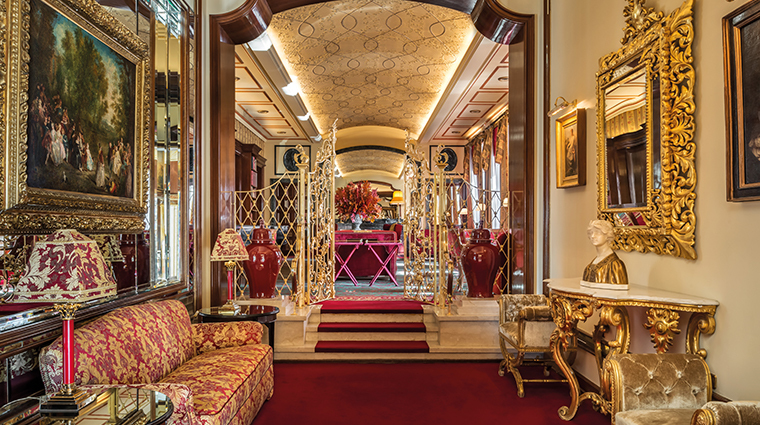 Rome’s classic colors — ochre and red — are found throughout the hotel. 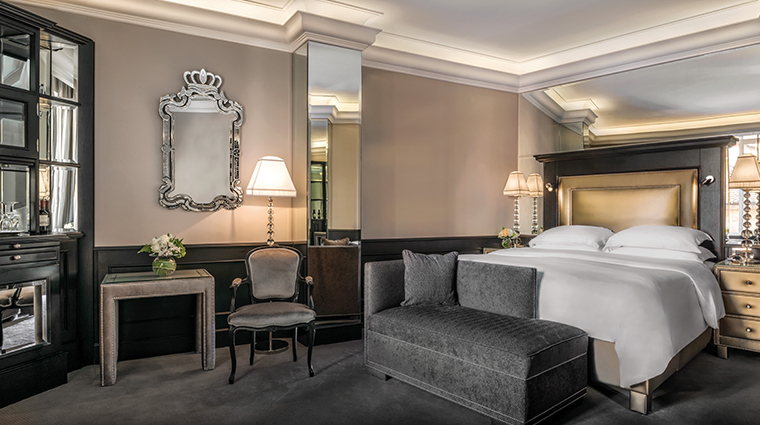 The Hassler's Amorvero SPA is a relaxing oasis for mind and body, offering exclusive beauty treatments and massages with the philosophy of providing a quiet haven in the heart of the city. 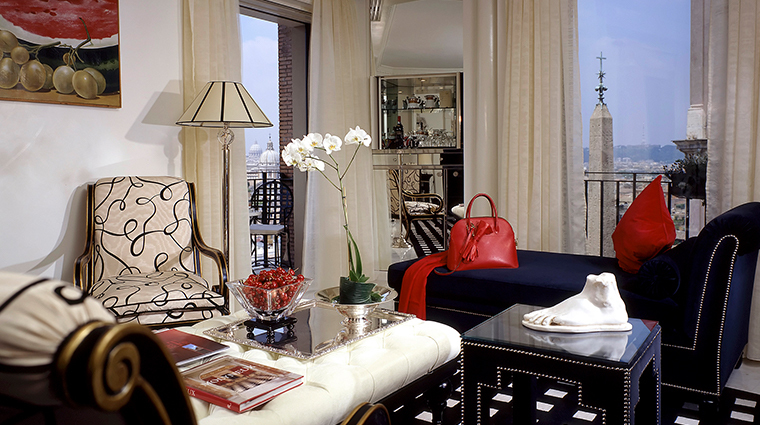 Atop the Spanish Steps (Piazza di Spagna), the iconic hotel is in a shopping neighborhood where Valentino, Hermès, Alaïa, Celine and Prada intermingle. 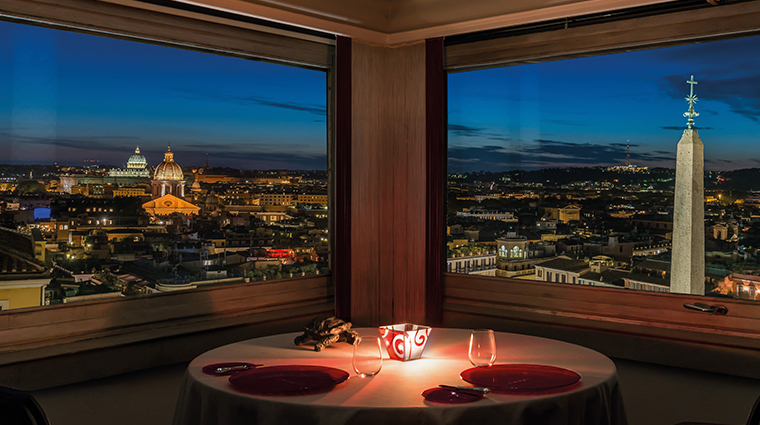 From your Imàgo table, you’ll be able to see at least a dozen notable edifices, among them the ornate Victor Emmanuel II monument and the majestic Sant’Agnese in Piazza Navona. This is truly one of the most dazzling dinner views in the city. 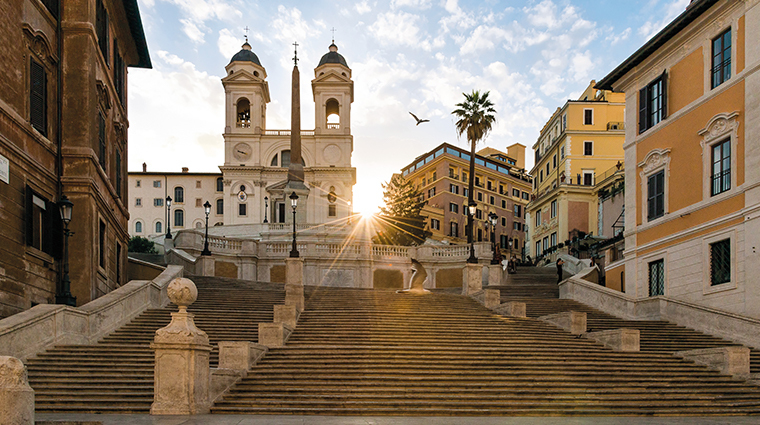 It’s a 10-minute walk to many of Rome’s main squares and monuments such as Piazza Navona, Piazza Venezia, Trevi Fountain and Campo de’ Fiori. 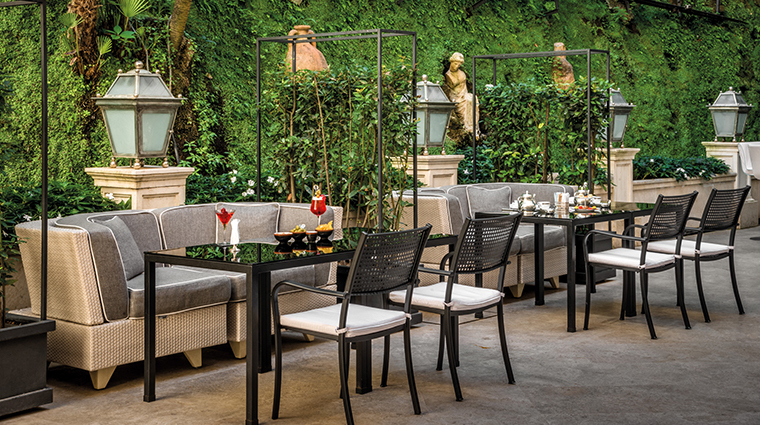 Just a five-minute walk away is the resplendent Villa Borghese, the city’s favored park for lounging, exercising and people watching. 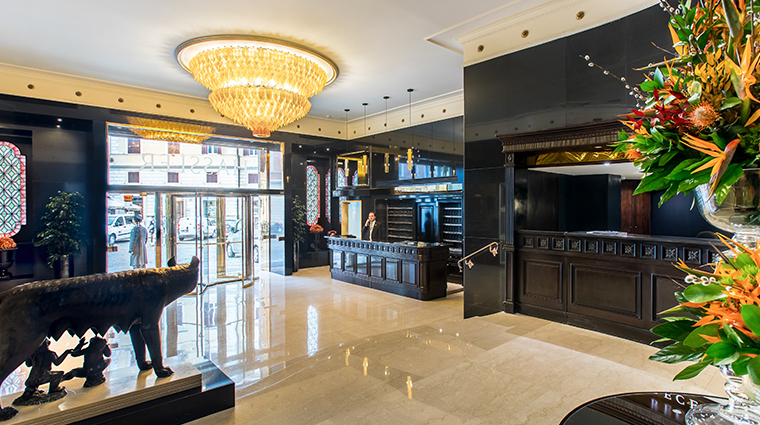 Should you need transportation to a piazza or great pizza spot, the concierge can arrange chauffeured car service to get you to your destination in style. Roberto E. Wirth is the first son of Carmen and Oscar Wirth. 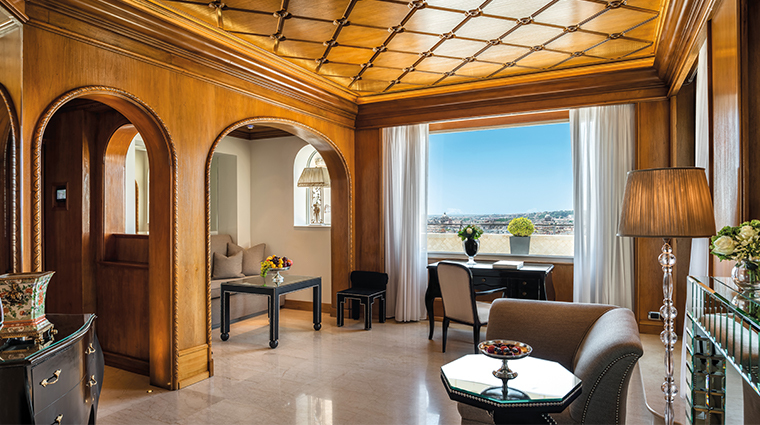 As the second-generation owner of the Hassler Roma, Wirth ensures that his lineage continues to make its mark in the field of luxury hospitality. 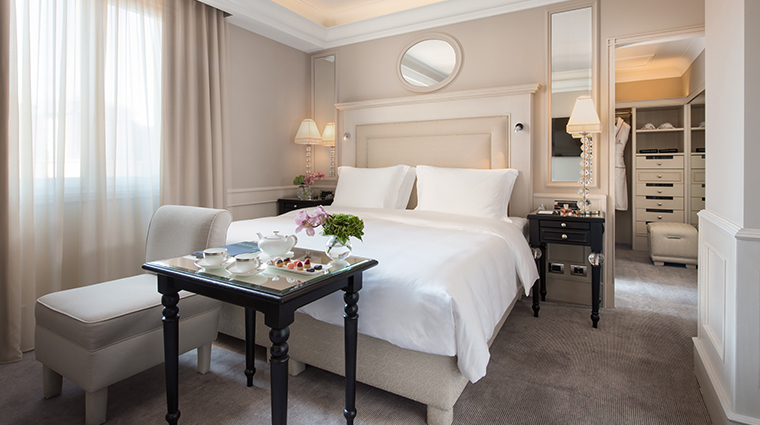 While guest rooms are generous compared to other city hotels, the views of the garden landscapes and Rome rooftops are spectacular. 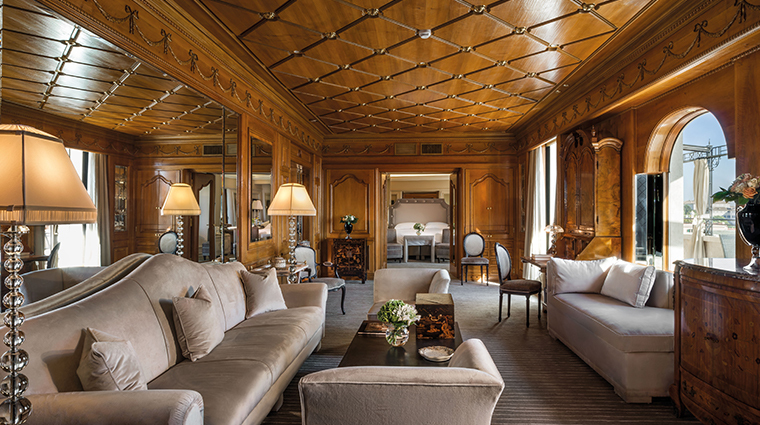 Suites are sumptuous and spacious, particularly the 3,552-square-foot Hassler Penthouse Suite. 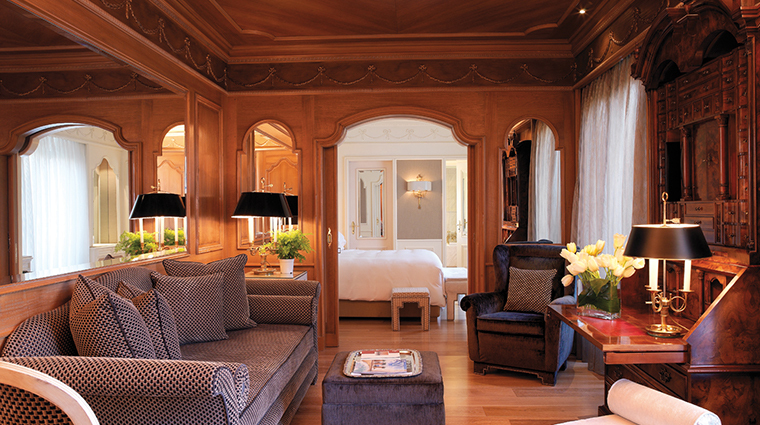 A personal butler is on-call day and night to service the suite made up of two master bedrooms covered in velvet and Hermès fabrics, four bathrooms, two panoramic terraces with travertine marble flooring and chaise lounges, a fully equipped kitchen, and a large living room, dining area, cocktail bar. 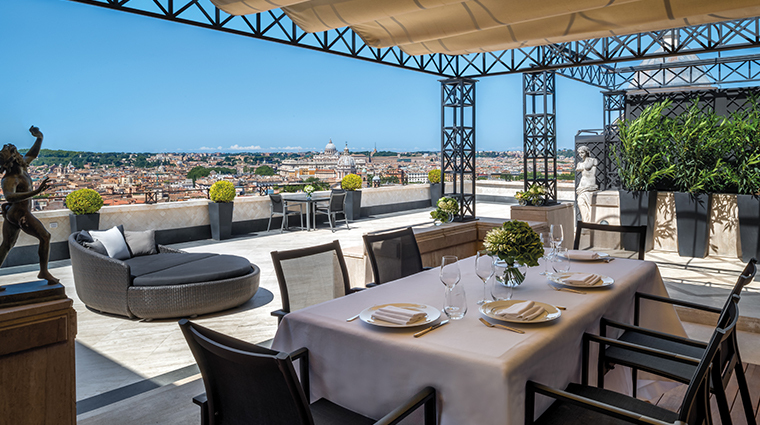 Chef Francesco Apreda helms Imàgo, the Hassler’s sixth-floor restaurant with jaw-dropping panoramic views. Apreda’s seasonal menu includes playfully creative dishes that combine traditional Italian recipes with subtle Asian influences. 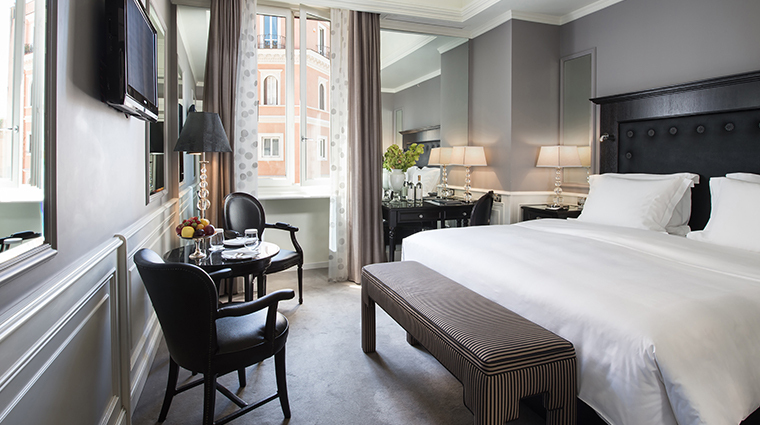 Apreda also serves as the hotel’s executive chef, overseeing in-room dining, every detail at the Palm Court, the Hassler’s renovated courtyard restaurant and bar, and the menu at Salone Eva, a beautiful library tearoom. 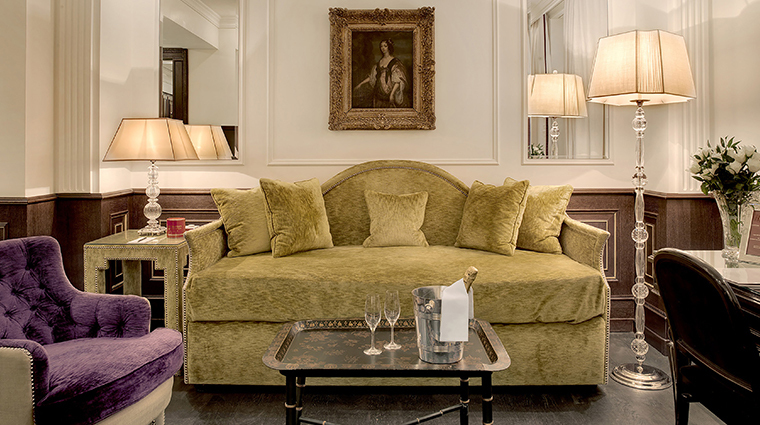 The clubby Hassler Bar is decked in rich red leathers and dark-woods, and is ideal for a post-dinner aperitif.